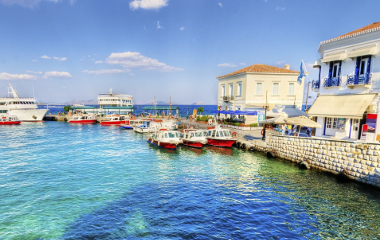 Applications are now open for the 1st International Gas Adsorption Summer School, to be held on the Greek island of Spetses from 9th to 14th September 2019. The School will be able to host around 35 attendees. To apply, candidates should fill out and submit an application form, with some details about their motivation for attending. School fees are 550 euros (for a shared room) or 750 euros (for a single room), and include transfer from (Sunday Sept 8th, 2019) and back to (Saturday Sept 14th, 2019) Athens, half board accommodation (6 nights, breakfast and lunch), coffee breaks and social events. Note that the fee should be paid only after acceptance of your application! Gravimetric and Manometric Methodologies – instrumentation, errors, accuracy, etc. For more information or to apply please visit the summer school website. Alternatively, if you have any questions, please do not hesitate to contact us. Hiden Isochema is proud to support World Metrology Day 20th May 2014! What is the Gravimetric Sorption Technique? The gravimetric sorption technique is used to determine the amount and rate of the interaction of a gas or vapor with a material.